If you're planning an outdoor event, a barbeque makes perfect sense. Everyone loves a barbeque in the sun, with the delicious smells and even more mouthwatering flavors making for an amazing alfresco dining experience. It's the perfect way to make your event extra special and make the most of the outdoors. As expert barbeque caterers in Phoenix, we can bring the full barbeque experience to your party or event, with a wide range of food options customized to your requirements, as well as exceptional levels of service and on-site grilling. Whether it's 10 friends or 100 guests, we have the experience and capability to deliver. The ultimate barbecue experience starts with using only the finest, freshly cooked meats. We offer a wide range of mouthwatering meat choices, including delicious cuts of prime beef, ribs, pork and chicken, as well as freshly made burgers and delicious side dishes. Our meats are off-the-bone tender and totally delicious, while we can also offer a range of freshly-prepared salads, side dishes, desserts and much more. Compliment your food choices with a wide array of tasty drink options, with something to suit everyone. Unlike many catering companies, our expert chefs will grill your food on-site. 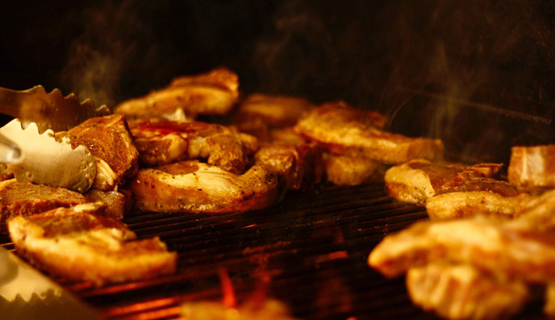 We serve up the finest, freshly cooked barbequed foods that are cooked to absolute perfection by our experienced chefs. We will work with you to put together the perfect menu to suit your needs and budget. We can cater for events of all sizes – from the smallest gatherings, through to the largest events. As well as providing the ultimate in delicious food and drink, we place a firm emphasis on offering the very best service. From initial planning, through to preparation and serving your guests on the day, we work hard to ensure that everything is as smooth and hassle-free as possible – and that it all comes within budget. Find out more about our barbeque catering service today. We will be happy to help and can answer any questions you might have.